Set amongst the vibrancy that defines Newcastle's Darby Street.This beautiful, contemporary and innovative first-floor apartment offers an unparalleled standard of living for buyers seeking an exceptional location amid cafes, restaurants, wine bars, and beaches. Generously sized, opulent interiors showcase premium open plan living, a spacious kitchen with smooth stone surfaces, luxe bathroom, and internal laundry. Two robed bedrooms and the living area enjoy direct access to an entertainer's terrace that is bathed in winter sunshine and an oversized garage with valuable storage room adds further appeal. 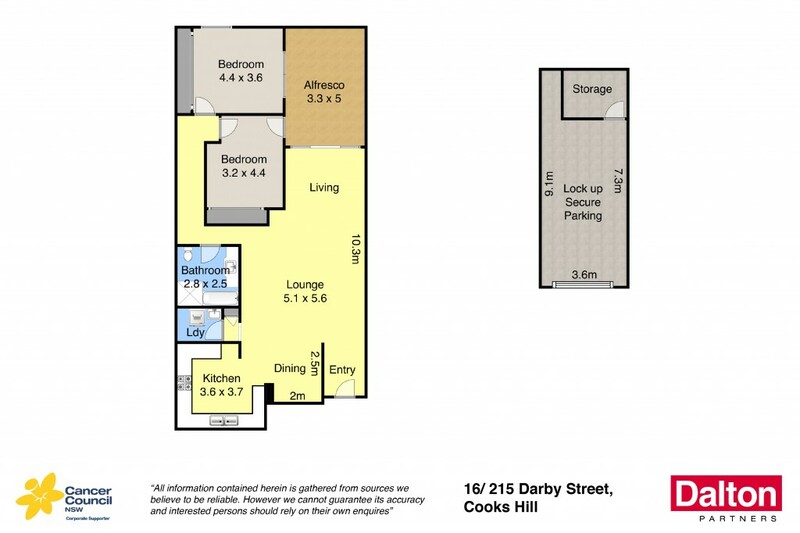 * Superb lifestyle location in the prestigious Woolstore Apartments. * Walk to cafes, restaurants, wine bars, retail outlets, and beaches. * Beautiful open plan layout is bathed in winter sunshine. * Spacious chef inspired kitchen with smooth stone surfaces. * All weather entertainer's terrace overlooks vibrant Darby Street. * Two robed and liberally sized bedrooms boast direct outdoor access. * Luxurious, fully tiled bathroom and internal laundry. * Ducted air conditioning and oversized garage with storage room.